Testing a product, discovering opportunities in foreign markets or new marketing trends, getting first-hand opinions of experts on current sectoral debates… An app that brings thoughts for food and food for thought. 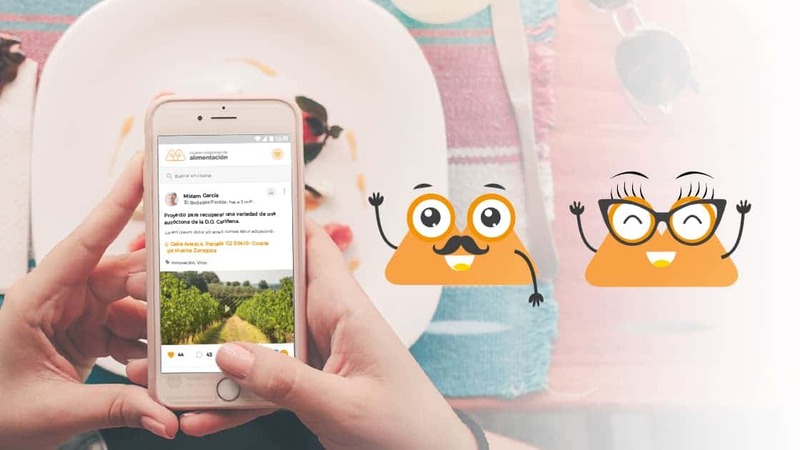 Cuatroochenta has developed a mobile app for the Aragon Food Cluster to digitalize cooperation among businesses through a private social network that fosters open innovation. 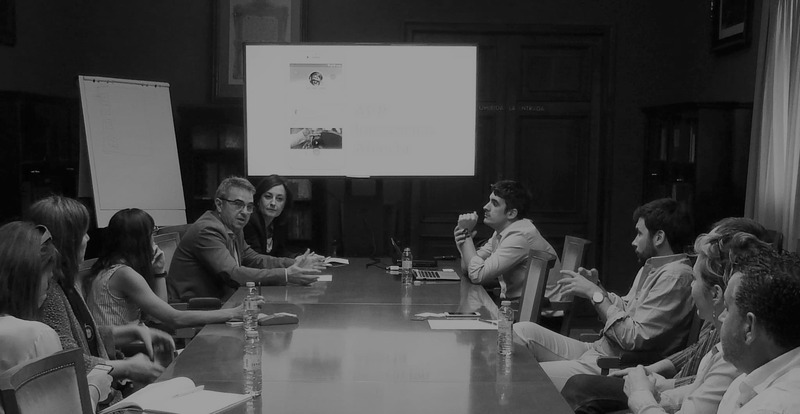 A pioneering tool in Spain to connect professionals from different businesses, scientists and culinary and food experts with the aim of contributing to an ecosystem that encourages R&D&I and excellence. The Aragon Food Cluster app, devised by the business association in collaboration with Cuatroochenta’s Business Analysis department, has been presented to members and the media this week with an excellent response. The chairman and the manager of the Cluster, José Antonio Briz and María Eugenia Hernández de Pablo, highlight that the app does not target business executives only, but “also employees because it is them who usually bring the most disruptive ideas, especially in small and medium enterprises without a large R&D&I department”, according to Hernández de Pablo. Briz adds: “There are many ideas blowing in the air, unable to be implemented due to lack of collaborative tools”. The app integrates a wall for posts with a similar usability as the most popular social networks. Its features include privacy options to decide whether shared contents are visible to all members or only to members of a particular company. In addition, the application shows users’ profiles including position held and contact details, in order to facilitate networking, and also allows to adjust notifications to receive alerts, for example, about new posts or reviews on selected topics. Another key feature is the so-called Innovation feeders, the panel of experts and opinion leaders who “will provide ideas for new projects and new products, share their knowledge about market trends and consumer preferences or recommend how to address international markets”, says Hernández de Pablo. 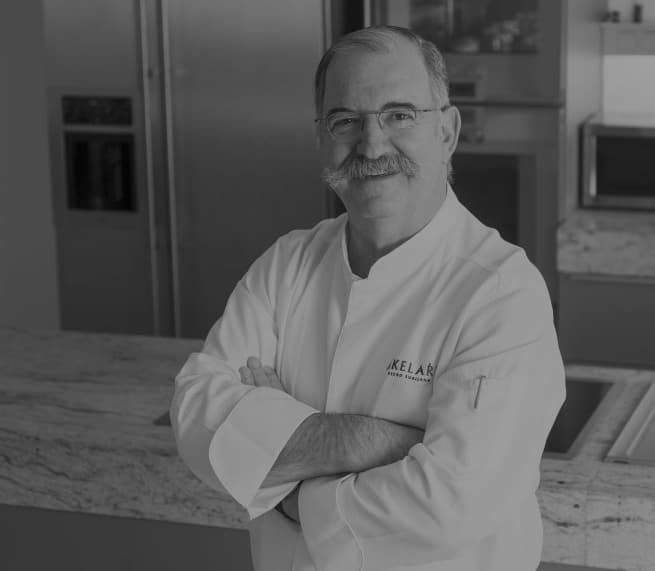 They include, among others, Michelin 3-star chef Pedro Subijana, renowned nutrition and genetics researcher José María Ordovás, scientist and writer José Antonio López Nicolás, Chinese market expert Beatriz Irún, journalists Ana Belén Lorente and Esther Paniagua, culinary influencer Martha Escorihuela, comedian Miki Nadal and La Habitación Roja’s singer, Jorge Martí. The app has been created thanks to the support programs for Innovative Business Associations (AEI) of the Ministry of Economy, but first and foremost to the involvement of the managers and businesses members of the Aragon Food Cluster, such as Grandes Vinos de Cariñena, Taisi, Cervezas Ambar or Pastas Romero. An initiative that stems from the so-called quadruple helix concept, “where businesses, administration and universities or research centers are complemented by citizens and consumers, who will be at the core of the app’s posts”, as the manager of the Cluster explains.